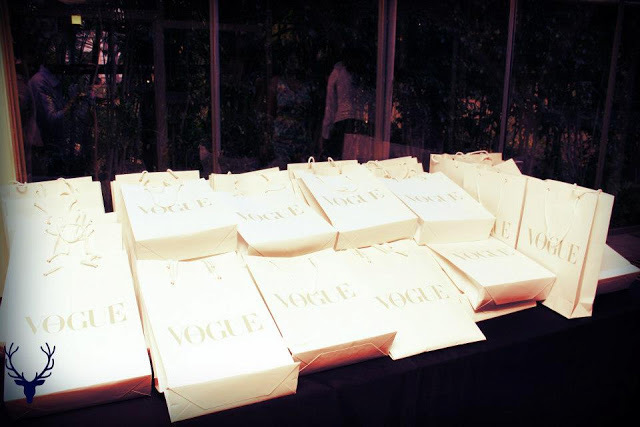 On 15th April Monday, Allen Solly and Vogue India joined hands to conduct the 'School Of Style' event for all the budding fashionistas. 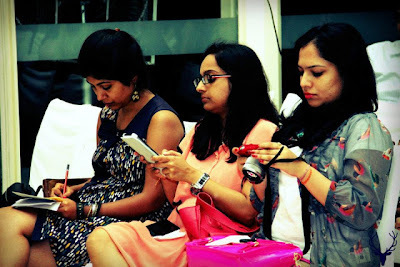 The event was conducted by Vogue India's three prominent ladies. Yes! Stripes are back in fashion. Dolce Gabbana had them in their collection recently. Stripes need not be the same old black or white. Candy cane stripes i.e pink and white or red and white are totally in!They also showed a couple of same styled outfits on a model. 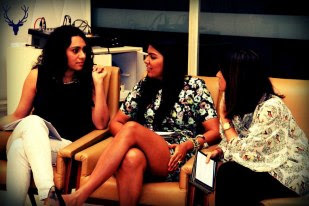 They also spoke about how every woman should embrace their body type. There are many body types right from apple to pear to goblet to the bottle shaped (no curves). They gave tips of what and what not to wear for every type. They also showed a couple of same styled outfits on a model. We all love black, but its time to ditch it and get come color. This outfit is a pop of color. You could also experiment with neon shades. Wear any colorful jodhpuri jacket or mojhris on simple jeans tee to get your indi look. The model here is wearing a monotone outfit. This outfit is for all those who love to stick with pants and shirts. The model here is wearing a white shirt as a jacket and printed pants. You could also try wearing printed pants with tank tops. You could wear them with ANYTHING and look absolutely stylish. 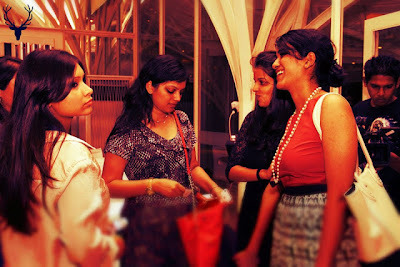 The beauty session was conducted by Parizad Khan. She gave pretty useful quick beauty tips like use a dry shampoo when you dont have the time for a hair wash.
Ditch the gloss. Gloss is for teenagers. Lipsticks especially the matte ones add an oomp factor on every woman. She also spoke on using the right foundation/ primer/ high lighter for every skin tone. The session concluded by attendees asking questions. We got the latest edition of Vogue Indian magazine and a free one year subscription. We also got platinum card by Allen Solly . You can reach Allen Solly here and Vogue India here .